Congrats Team Israel! Now let’s build baseball for the next generation. It was not until 1979 that the first real baseball field in Israel was built. Today, baseball in Israel is a growing pastime. There are over 1,200 players in 16 centers and on 80 teams, and while these figures are increasing steadily every year, adequate numbers and fields are still in short supply. This is where Jewish National Fund's (JNF) Project Baseball comes in. 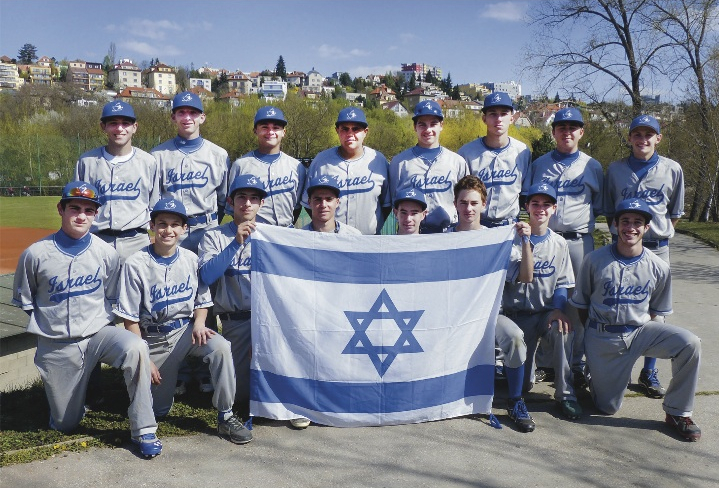 Project Baseball is focused on building state-of-the-art baseball and softball fields throughout the country while also supporting and teaching baseball and softball to Israeli youth through little leagues, summer camps, and clinics. Project Baseball gives the children of Israel an opportunity to learn life lessons while building lasting friendships. For generations, baseball in North America has strengthened communities and provided children with important, and fun, learning opportunities. Whether it's in a backyard, park, or the major leagues, baseball builds sportsmanship, fosters teamwork, and cultivates confidence. The popularity of this sport, and the positive effects it has, extends beyond our borders and across the globe, fast becoming a beloved sport in Israel. Project Baseball also gives children who have made Aliyah a taste of home and provides a tool that will help them bond with their new Israeli peers. Children making Aliyah with their parents have the opportunity to sign up for Project Baseball before they arrive in Israel, giving them something familiar to look forward to and commonality that will bridge the cultural gap of moving to a new place. Expanding Israel's first baseball field, located at Kibbutz Gezer, to Major League Baseball (MLB) outfield dimensions. Upgrading the Sportek field in Tel Aviv, which hosted the 2009 Maccabi Games. Upgrading fields for the inaugural season of the Israel Baseball League (IBL) in 2007. Building the Levin Regional Field in Maor. Founding the Ball & Glove Educational Program. Sponsoring clinics with IBL and MLB players for Israeli children. Throughout Israel, most teams practice on sub-optimal fields. Fields are often shared with other sports, reducing the available time slots for practices and games. Few facilities offer batting cages, pitching machines, bullpens, or indoor training. The lack of dedicated fields and the high cost and poor condition of the existing facilities is impeding the growth of the sport at all levels. Ultimately, baseball cannot grow in Israel without development plans that account for comprehensive training for coaches, standardized coaching methods, introduction of the games into the schools, and properly trained umpires. There is a shortage of qualified instructors, and those who volunteer their time lack any formal training. The same problem is apparent with umpires in Israel. There is a severe shortage and their training and experience vary from region to region. One of the biggest issues facing the growth of baseball and softball across Israel is the lack of a clear development plan for young players. The level of instruction varies from one region to another and is based on the abilities of the coaches in that area. To further develop the sport and instill a love of baseball and softball at an early age, bringing baseball to schools is crucial.